Timing: Depends on the buzzer/time alarms set. Functions on-board: Time, Alarm, Humidity, and Temperature with 3 push buttons for control. Operating Current: Depends on the functions being used on-board the module. 1. The small, compact product size which I can carry in a bag or in a pocket. 2. 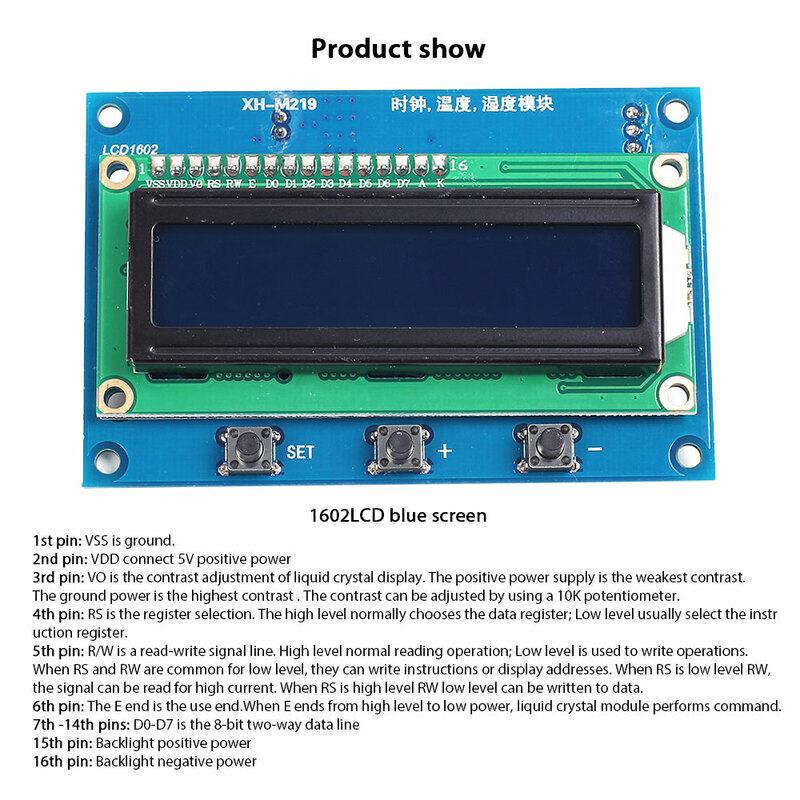 The amount of functions there are on one PCB (printed circuit board), which could provide me with what I need to know, in different environments. 3. How easy the setup of this module really is when calibrating the temperature and humidity or configuring the alarm settings. 4. The fact that there is a 4-pin header at the back for additional serial programming, meaning that this module can be hackable to suit your needs. Be sure to check out the XH-M219 Multi-Function Clock Module Setup by clicking here.